Swimwear is a fairly obvious essential when it comes to packing for your holiday, but finding the perfect bikini can be tricky. My favourite three at the moment are these two from Triangl and one from Bahimi. I also love to pack a couple of coverups for when I’m walking to and from the pool – either a kaftan or cover up like this gorgeous white number by Bahimi or this black tassled top from Superdry. Suncream is an absolute essential to protect your skin from burning, showing signs of premature ageing and of course reducing the risk of skin cancer. 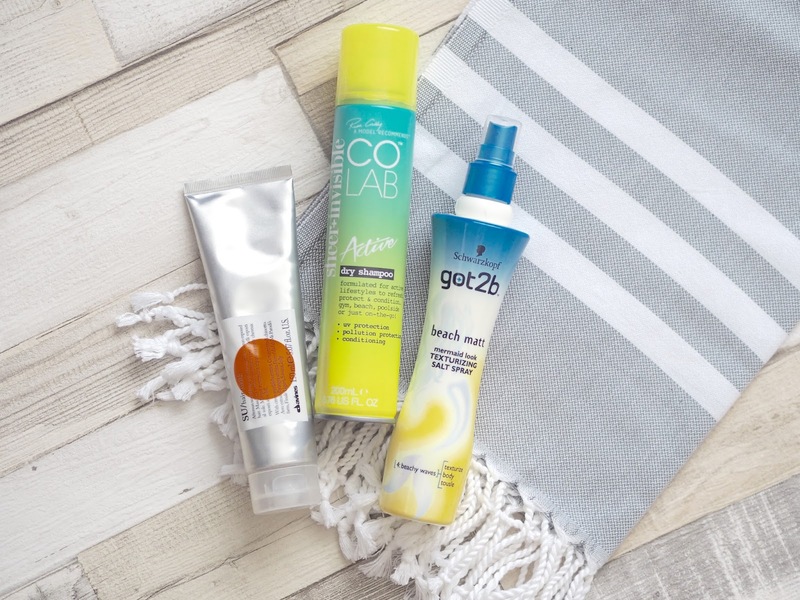 There are endless SPF products on the market, but I would recommend four products in particular. For the face, try Frezyderm Sun Screen Velvet – it contains UVA and UVB and SPF 50 protection with the most incredible texture. It’s paraben-free, and applies like a mattifying primer – not like any other suncream I have ever tried before. It sits beautifully on its own, but also makes the perfect base for under makeup – I honestly cannot fault it! If you’re on the look out for a lower protection, I’d recommend the Solar Protect Serum from Kiko, which is SPF15, and also contains protection against both UVA and UVB rays. Despite being a (fairly watery) oil, it absorbs into the skin very quickly, and doesn’t leave any residue at all – again, perfect alone or under makeup. 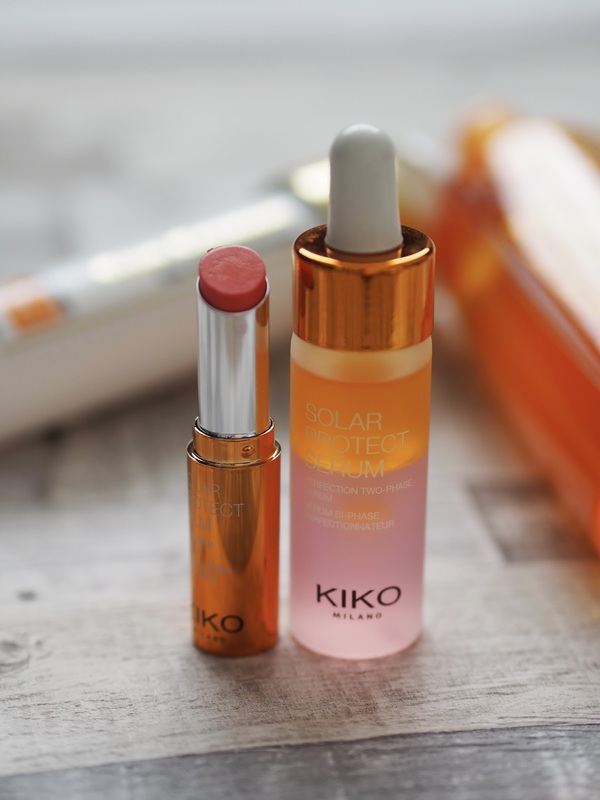 I’m also a HUGE fan of the Kiko Solar Protect Balm – a lip balm with SPF20. I have the shade 02 Exotic Fruits which is a beautiful coral shade, which is perfect for the summer, and it keeps my lips hydrated and protected for hours. 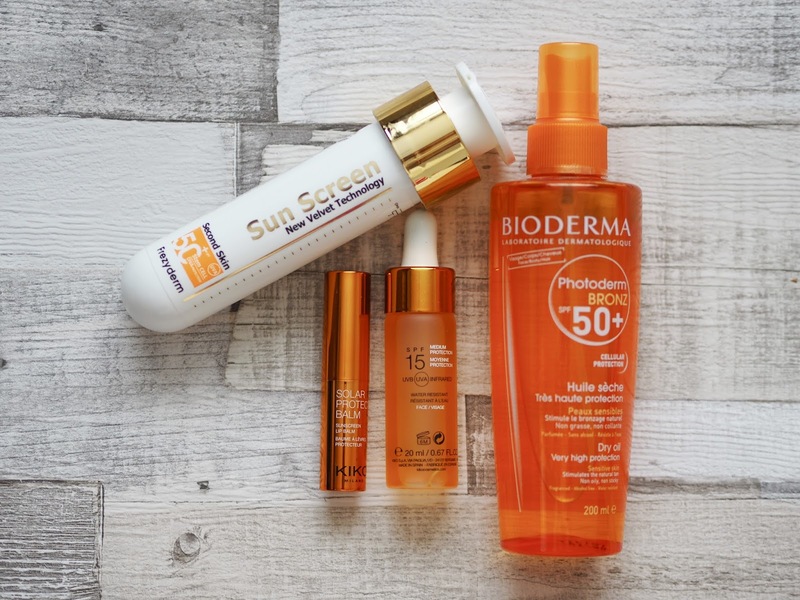 For the body, I love using Bioderma’s Photoderm Bronz Dry Oil. It has SPF50 and is suitable for sensitive skin. As it is a dry oil, it is deeply hydrating to the skin, but does not leave a greasy residue, and instead leaves your skin feeling silky soft. After sun exposure, there is nothing more satisfying (and important) than re-hydrating and cooling your skin with an application of aftersun. However, it’s not pleasant when you liberally apply a new aftersun, only to discover that it’s really heavy and sticky. Nobody likes to go to dinner covered in sticky aftersun! My recommendation would be a tube of SU/ Aftersun which is highly hydrating, whilst possessing a really light texture. It absorbs very quickly and leaves your skin feeling nourished without any stickiness or in fact, without any residue at all. Again, a beach towel might initially seem like an obvious essential on holiday, but this gorgeous grey striped towel from Hammam Havlu is a must. It is made of 100% cotton, yet absorbs just as much water as a fluffy bath towel, and also doubles up as an elegant shawl or sarong too! There are also plenty of lovely colours to choose from. On holiday, I tend to wash my hair in the evening, so that it looks lovely for dinner and drinks, but that often means that it can look a little greasy during the day. 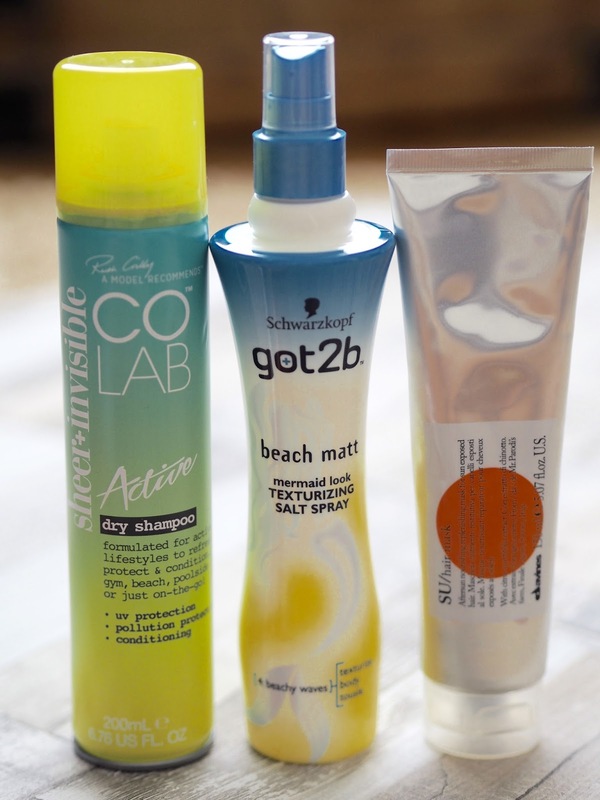 My absolute saviour on holiday is CO LAB dry shampoo – it’s sheer which means it blends into my hair with very little effort, and also contains moringa seed extract to help protect hair against sun damage. After a day in the sun, I treat my locks to an application of SU/ Hair Mask. It’s deeply nourishing and has been specifically designed to restore hair after sun exposure. I simply use it in replacement of conditioner in the shower, leaving it on for 5-15 minutes to treat my hair. To style, I let my hair dry naturally if possible (as using a hair dryer in a hot country is not the most pleasant experience) and it also allows my hair to go somewhat wavy. To encourage my hair to embrace the beachy waves look, I spritz it with Schwarzkopf Got2B Texturizing Salt Spray which slightly mattifies my hair and encourages curls when I spritz, then scrunch it up in sections with my hands. Unless you’ve planned ahead (and braved the pain) by booking a wax, a razor is a must on holiday. 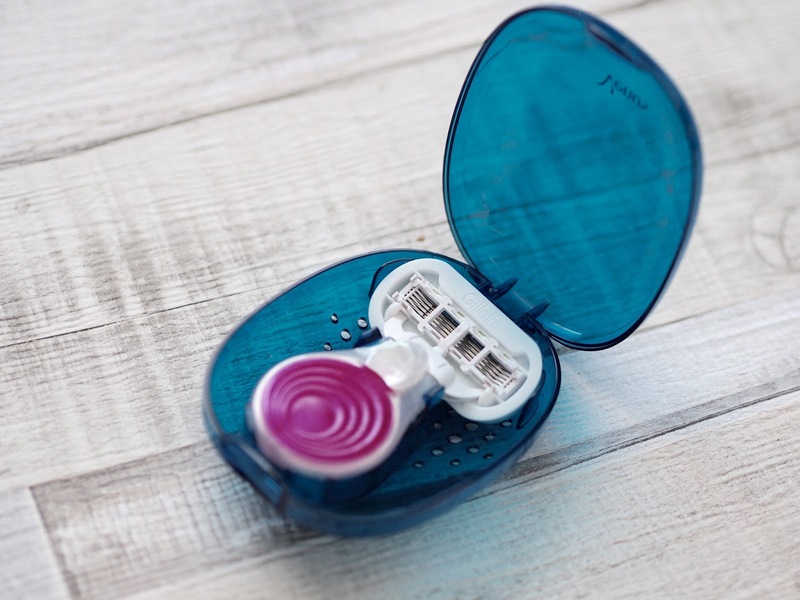 My recommendation would be the Gillette Venus Snap, as it’s small and compact and comes in a handy travel case. 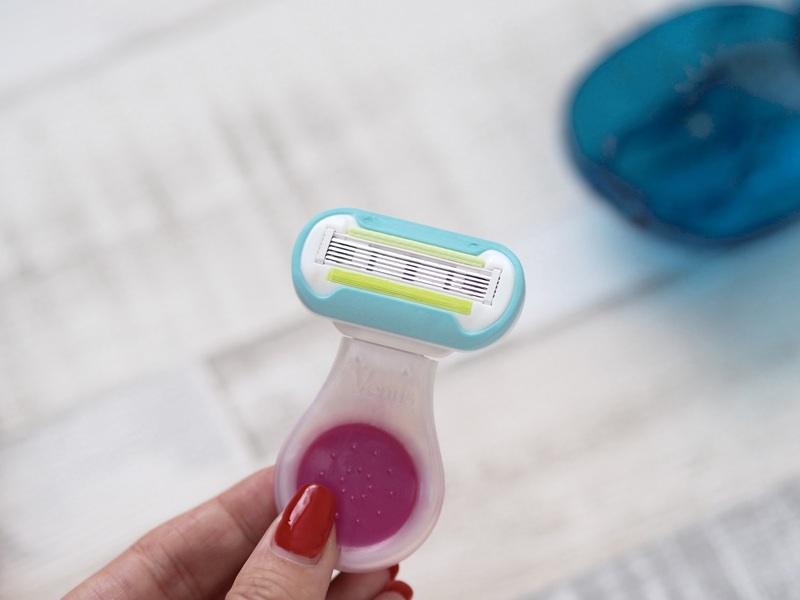 Despite being small, it glides as flawlessly as the full size razors in the much-loved Venus range. Have you got any holidays planned this year? What are your holiday essentials?